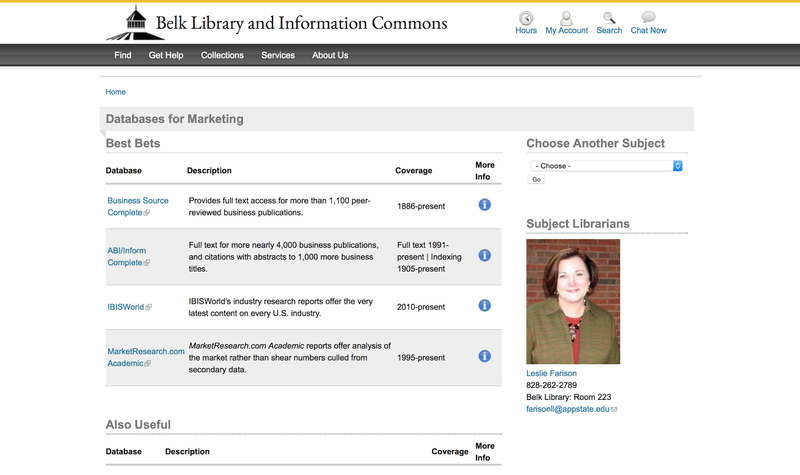 "Darling, darling, darling, don't you know that's where the dreamers go..."
This blog post will teach you how to use the Belk Library online databases to find scholarly sources for your literature review. 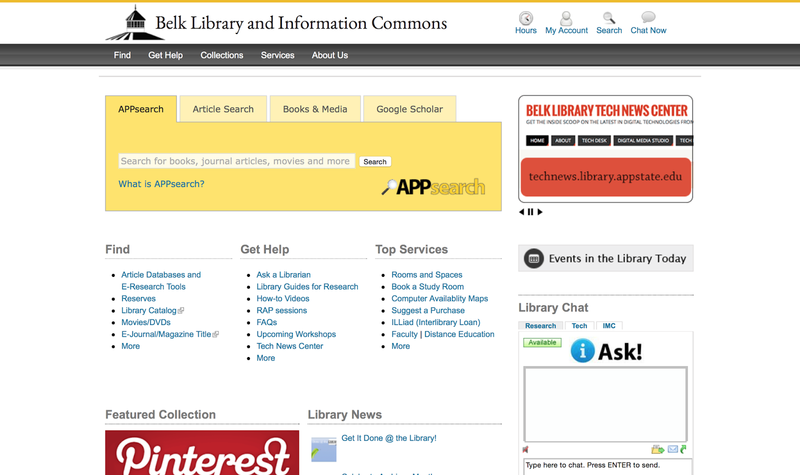 Step 1: First, go to the Belk Library Website. 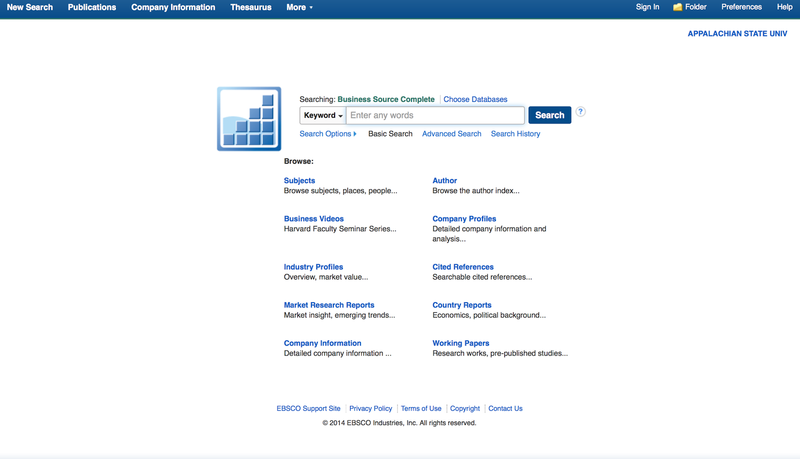 Step 2: Click on "Article Search"
Step 3: Click on "List of all article databases." Step 4: Scroll down to where it says "By Subject"
Step 5: Click on the subject that best matches your topic. For the purposes of this demonstration, I am selecting "Marketing." 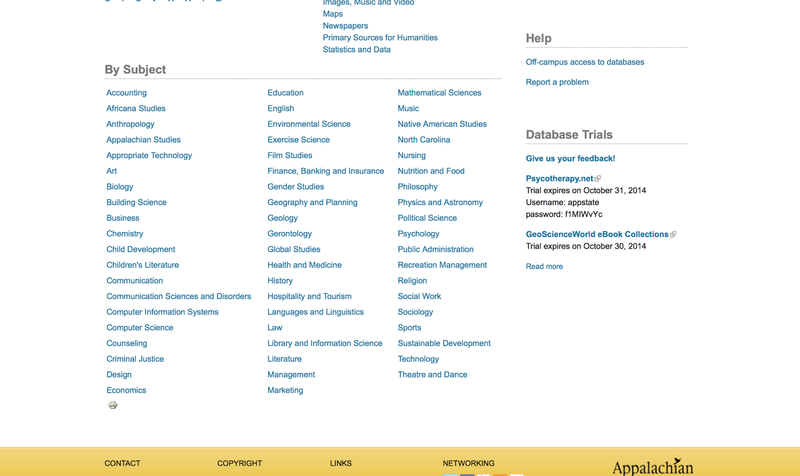 When you click on the subject area, a list of databases will appear. 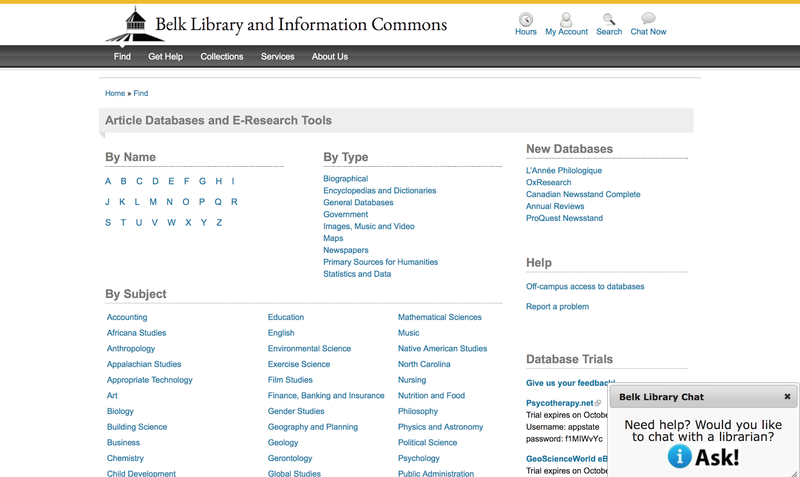 Step 6: Select the database that you feel will provide the best results. For the purposes of this demonstration, I am selecting the first database: "Business Source Complete." Step 7: Click "Advanced Search." 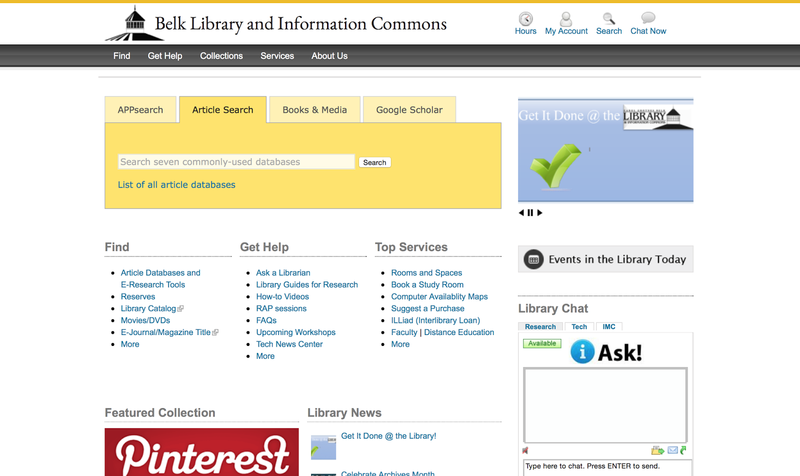 This will provide you with many more options that will help you control your search. Step 8: As you can see, the next step is to enter your search terms. Use the Boolean operators (AND, OR, BUT, NOT) to help you narrow down your search. For this demonstration, I am using the terms "mass media" AND "advertising." Then scroll down to "Search Options." 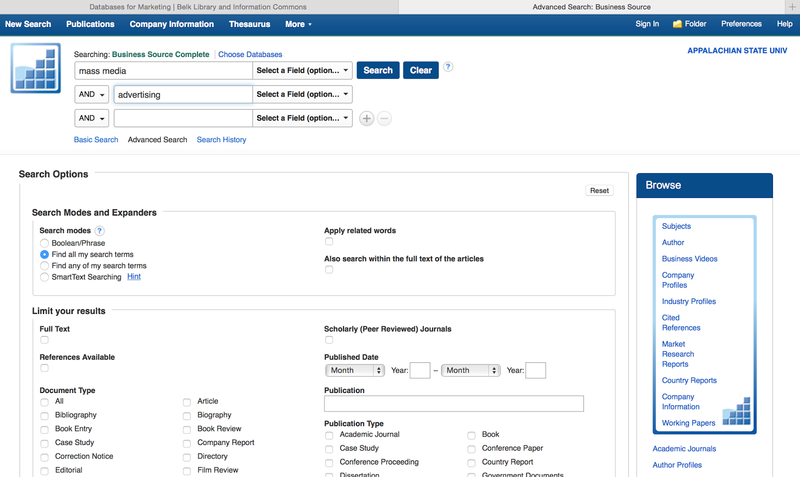 Step 9: Select "Full Text" and "Scholarly (Peer Reviewed) Journals." 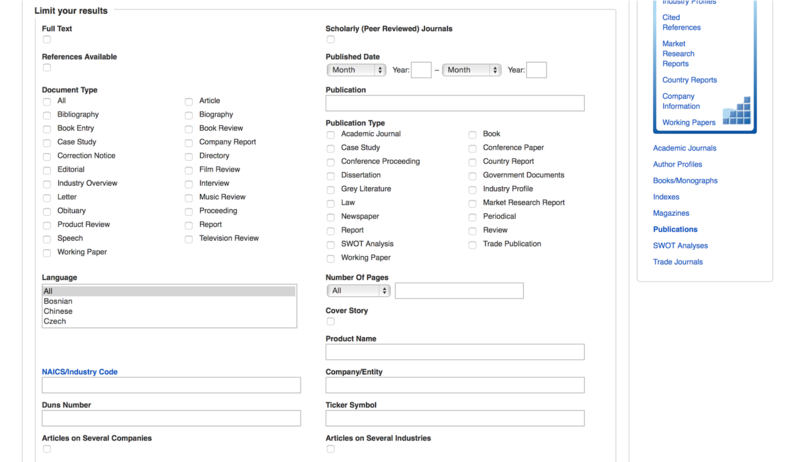 This will ensure that the articles you are finding will be academic and reliable sources. Once you've done this, go ahead and search for your articles. 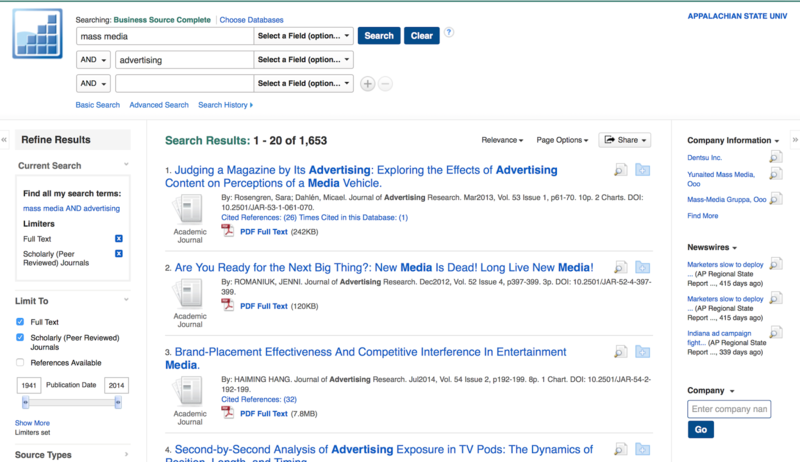 From a very simple search, I was able to find very good, full text articles that would help me write a paper on the effects of advertising in the media. I will be more than happy to help you find the correct database, lead you through the search process, or help you with anything else you need! 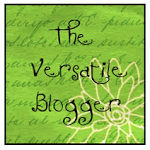 Please leave a wonderful comment on my blog! I want to know who's reading and what you think about what I have to say. My Very 1st Monday Made It! Quick Thanks, HearALL Assessment Recorder Giveaway, Monsterous Giveaway, 100 Follower Giveaway, How Do You Know You're a Teacher?? Monday Made It #3, First Day Back, and TpT Sale!